These days it seems fashionable to be identified as an atheist. Atheism has gained an exalted place in our modern culture because it is portrayed as an intellectually superior philosophy. But is it really? "For the message of the cross is foolishness to those who are perishing, but to us who are being saved it is the power of God. For it is written: 'I will destroy the wisdom of the wise; intelligence of the intelligent I will frustrate.' Where is the wise man? Where is the scholar? Where is the philosopher of this age? Has not God made foolish the wisdom of the world? For since in the wisdom of God the world through its wisdom did not know him, God was pleased through the foolishness of what was preached to save those who believe." The great British preacher, Charles Spurgeon once said, "There are no atheists anywhere but on earth. There are none in heaven, and there are none in hell. Atheism is a strange thing. Even the devils never fell into that vice, for 'the devils also believe and tremble' (James 2:19). And there are some of the devil's children that have gone beyond their father in sin. But when God's foot crushes them, they will not be able doubt His existence. When He tears them in pieces and there is none to deliver, then their empty logic and their bravado will be of no avail." So, what do we need to understand about these who arrogantly deny the existence of God and who demean those who believe in Him? 1) Most of them carry spiritual and emotional baggage that are the real reasons behind their refusal to believe. Unfortunately, their reasons for not believing have little to do with God and much to do with misconceptions about Him. Perhaps they have been disappointed by faith or by a person of faith. Maybe they were hurt by a church or damaged by a parent who used faith to shield their abusive behavior. They project their disillusions onto God. 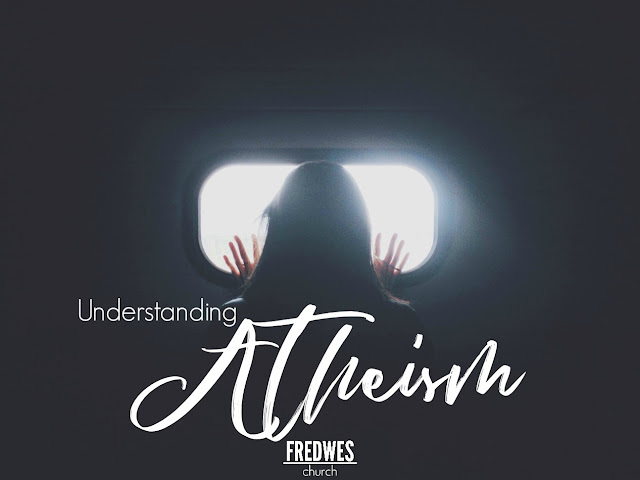 2) Atheism is often portrayed as the modern and trendy way to think and people of faith are belittled as archaic and backward in their thinking. The truth is that people have been rebelling against God and trying to rationalize Him away since the Garden of Eden. Unbelief is nearly as old as belief. 3) An atheist's claim that there is no God is intellectually dishonest for this reason, it is an attempt to make humans into gods. That, in a way, is the ultimate irony: atheists in their denial of God, cannot help but replace the truly omniscient God with a cheap imitation - themselves. 4) Also, his claim that God doesn't exist is intellectually inconsistent because the only way that could be true is if the atheist knew everything it is possible to know. Otherwise, it would be possible for God to exist but that He existed outside of his knowledge or beyond his ability to know. Since there has never been an omniscient human being, there has never been an honest atheist. 5) God believes in atheists even if they don't believe in Him and He sent His Son to die for them. So we should pray for them and reach out to them in love. We should live our lives in ways that make God seem real. Lest we be too negative toward atheists, let me remind you that at times each of us behave as practical atheists. How is that? When we know what the Bible says and we fail to obey it, we are acting as though there is no God - or as if we are gods. Before we criticize or condemn them, let's repent of our own disbelief and rebellion. God help us, so we can help them.